Welcome to the Data Geyser! Spin the Globe, zoom in and out, observe the stars, watch the sun move across the sky - all astronomically accurate. 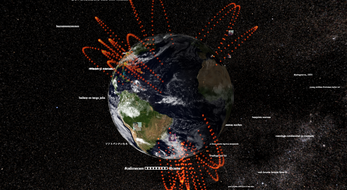 Fire off an eruption of Twitter data, all streaming from their respective locations. Larger follower counts send off greater explosions, and even pictures of the Tweeter! 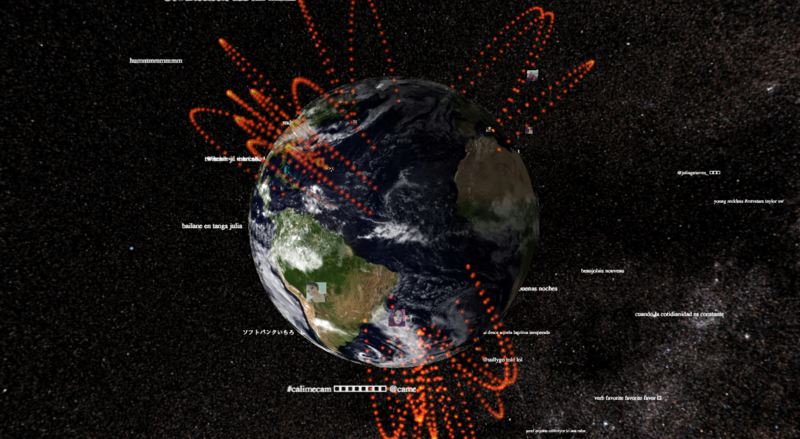 All of this is possible in the browser using your mouse to control the World. Have a Leap? Plug it in to control the Earth with motion control (give it a swipe!). Have an Oculus? Experience this scene in true, immersive Virtual Reality. For more info, check About on site.